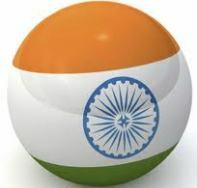 India signed a Double Taxation Avoidance Agreement (DTAA) with the Oriental Republic of Uruguay for the avoidance of double taxation and for the prevention of fiscal evasion with respect to taxes on income and on capital. The DTAA provides that business profits will be taxable in the source state if the activities of an enterprise constitute a permanent establishment in that state. Such permanent establishment includes a branch, factory, etc. Profits of a construction, assembly or installation projects will be taxed in the state of source if the project continues in that state for more than six months. Profits derived by an enterprise from the operation of ships or aircraft in international traffic shall be taxable in the country of residence of the enterprise. Dividends, interest and royalty income will be taxed both in the country of residence and in the country of source. However, the maximum rate of tax to be charged in the country of source will not exceed 5% in the case of dividends and 10% in the case of interest and royalties. Capital gains from the sale of shares will be taxable in the country of source. Gross direct tax collections during the first five months of the current fiscal (April - August 2011) were up by 25.89 percent at Rs.154,360 crore as against Rs.122,618 crore in the same period last fiscal. Net collections, however, stood at Rs.96,738 crore, down from Rs.100,113 crore in the same period last fiscal on account of an increase of 156.04 percent in tax refunds, which stood at Rs.57,622 crore as against Rs.22,505 crore last fiscal. According to Registrar General of India, nutritional deficiencies are responsible for only 2.8% death of children aged 0-4 years and 1.8% in the age group 5-14 years. Some of the major causes of death of children below 4 years are perinatal conditions (33%), respiratory infections (22%), diarrheal diseases (14%), other infections and parasitic diseases (11%), accounting for 80% of the deaths in this age group. A tripartite agreement was concluded between the Governments of undivided Bihar, Orissa and West Bengal is August,1978 regarding Subarnarekha river. Consequent to this agreement, each of the three Co-basin states (Orissa, West Bengal and now Jharkhand) have drawn up their own programme to harness the water resources of the Subarnarekha river basin.The Subarnarekha multipurpose project envisaged the construction of two dams, at Chandil and Chaibasa both in Jharkhand, three barrages at Galudih,Ganjia and Bhosraghat (WB) and a network of canals from these. Three small storage reservoirs and a network of canals from these reservoirs are in Orissa. Started in 1982-83, the multipurpose project was planned for irrigation, hydropower generation and water supply. While the Chandil dam and Galudih barrage are almost complete, the other components are still incomplete. The Subarnarekha barrage project of West Bengal is targeted to be completed by 2015-16 and Subarnarekha multipurpose project of Orissa is scheduled to be completed by March,2014. A density of population of at least 400 persons per km2.